When it comes to navigating big foreign cities, it’s sometimes best to leave the what, where, and when to the pros. 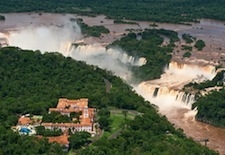 And if you are planning a romantic visit to South America – say, several nights in either Rio de Janeiro (shown at left, courtesy of Orient-Express Hotels) or Buenos Aires, paired with a beach escape or an Amazon/Iguassu Falls adventure – and you have a splurge-worthy budget, then consider putting your enjoyment in the hands of Blue Parallel (www.blueparallel.com). Plus, summer is about to bloom in the southern hemisphere, so the timing is ideal. Founded in 2002 by Emmanuel Burgio, this award-winning bespoke travel company is based in the U.S. with an operations center in Buenos Aires. Burgio and his team craft custom itineraries featuring South America’s most luxurious accommodations and must-see sights – some of them, such as a private concert by a group of musicians from Buenos Aires’ famous Teatro Colon or a candlelit visit to the magnificent Compañía de Jesús church in Quito, Ecuador, not widely accessible to the general public. Add knowledgeable local guides, who are there when you want them (helping you circumvent traffic jams or expedite lines) and not there when you don’t (when dining à deux) and the effect is a seamless voyage, tailor-made to your needs and budget. Although with rates starting at $1,000 per person per day (all-inclusive, with the exception of international airfare and certain meals), nothing about the Blue Parallel experience is budget. 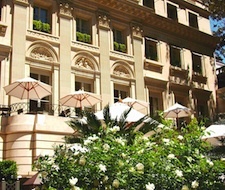 In Buenos Aires, for example, guests have the option of staying in the splendid Park Hyatt Palacio Duhau (shown at right; courtesy of Park Hyatt) or any of six other five-star properties, while in Rio, accommodations include such luxury hotels as the sleek and modern Hotel Fasano and grandly historic Copacabana Palace, or a private penthouse residence with views of Sugar Loaf that is part of the Blue Parallel Villas (www.bpvillas.com) collection. As a first-timer in Rio, I tested Blue Parallel’s service a few months ago and couldn’t have been more pleased. My guide, Renata Hein, was personable and full of information about all things Rio. I was met at the airport, transferred via luxury sedan to my hotel and after check-in, whisked away for a hassle-free and information-packed two days of sightseeing (Corcovado, Sugar Loaf, Ipanema, the Lagoon, Santa Teresa, Centro) and post-sunset fun that included fabulous dinners followed by drinks and samba-rock at the three-story Rio Scenarium nightclub in the city’s lively and revitalized Lapa neighborhood. I didn’t make it to the Carmen Miranda Museum – maybe next time. 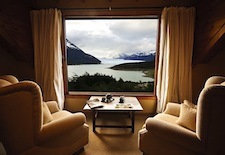 Notros), three nights in the Lake District near San Carlos de Bariloche, and three nights in the wine region near Mendoza. For general trip-planning information, see our Rio de Janeiro Travel Guide and Buenos Aires Travel Guide.